The top of the range SEAFLOOR 500, is the floor saw which is most suited to the hardest jobs. 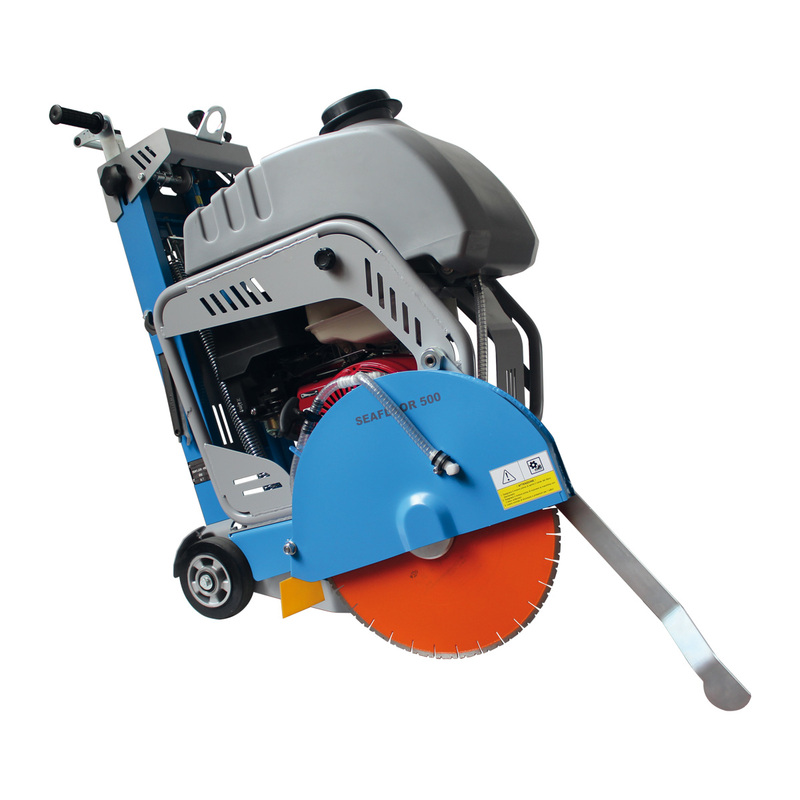 Thanks to its 500 mm diameter diamond blade and its Honda GSX-390 engine it has a cutting depth up to 19 cm. Excellent cutting precision and stability thanks to the short wheel base and its water tank mounted above the blade. Supplied with a 500 mm diameter diamond blade. ASFALTO TRE included in the price.